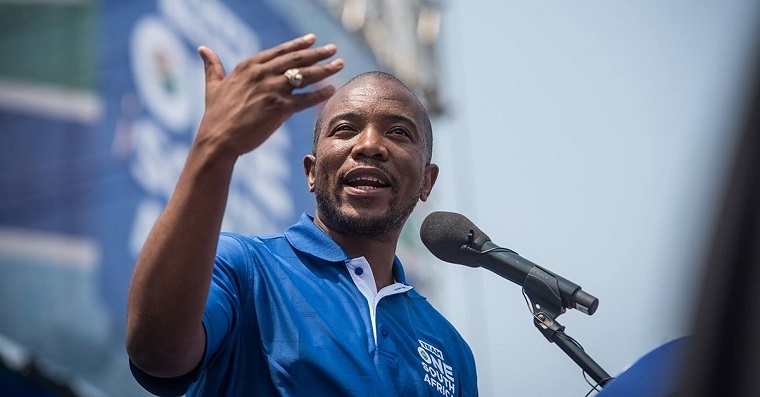 Zimbabwe Opposition leader Obert Gutu has called South African opposition leader Mmusi Maimane a puppet who has “absolutely no business meddling in the affairs of Zimbabwe”. 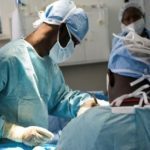 In an apparent reaction to reports that Maimane, leader of the Democratic Alliance and chair of the Southern African Partnership for Democratic Change which represents opposition parties in the region, wants to travel to Zimbabwe to meet President Emmerson Mnangagwa about the recent disturbances in the country, Gutu said Maimane should concentrate on his puppetry and leave Zimbabweans to sort out their own issues. Several people were killed and other raped during the security forces crackdown on anti-government protesters last month. Businesses were looted, property destroyed and at least one police officer killed by the protesters. Gutu is deputy president of the Movement for Democratic Change-Tsvangirai which broke away from the main opposition party last year but retained the name of the party led by the late Morgan Tsvangirai. His boss Thokozani Khupe came a distant third in the presidential elections last year which had 23 candidates. She polled just over 45 000 votes while Nelson Chamisa of the Movement for Democratic Change Alliance won over 2.1 million, 300 000 less than the winner Mnangagwa. Chamisa rejected the results and insists up to this day that he won the elections and says the problems that Zimbabwe is currently facing are a result of Mnangagwa’s illegitimacy. Gutu has been accused by opposition supporters of being jealousy of Chamisa and being a puppet of the ruling Zimbabwe African National Union-Patriotic Front. He argued that it was tragic that he was being labelled ZANU-PF simply because he had chosen to be fearlessly independent-minded. “I have never been a ZANU-PF supporter all my life. I’m resolutely pro-Zimbabwe and against retrogressive politics,” he said. “I will continue to fearlessly and resolutely defend and uphold what’s good for Zimbabwe, not necessarily what’s good for certain political personalities. That’s me! Gutu was Deputy Minister of Justice in the government of national unity which ran Zimbabwe from 2009 to 2013. Gutu’s sentiments were similar to those of Mnangagwa’s spokesman George Charamba who said the Zimbabwean President had no interest in talking to Maimane. 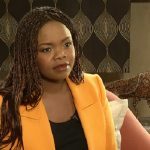 “We relate to the South African government and have no business talking to an opposition party, which is a minority party for that matter,” Charamba told the Sunday Times. “If he tries to come here he will be thrown out and will not be allowed to come into the country. We are a sovereign State and not a banana republic,” Charamba said. Zimbabwe’s Information Minister Monica Mutsvangwa said Maimane was playing to the gallery because he wanted international attention.